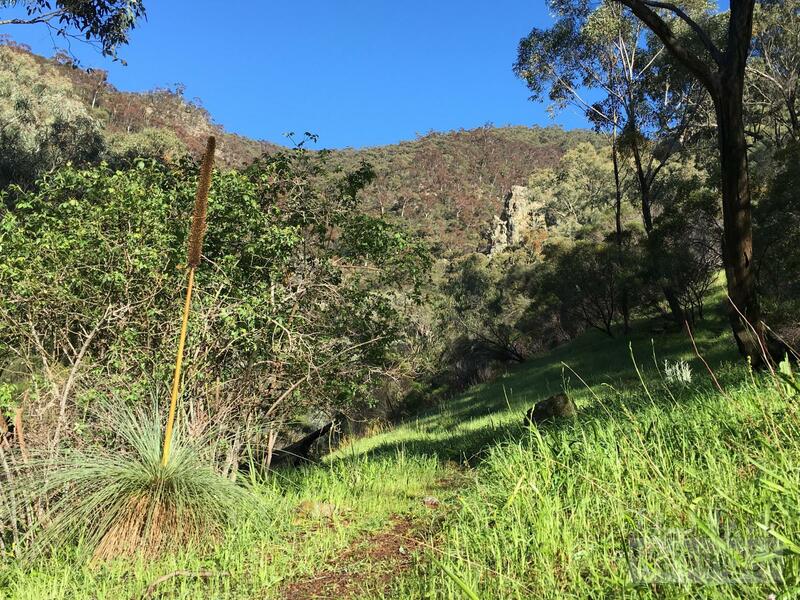 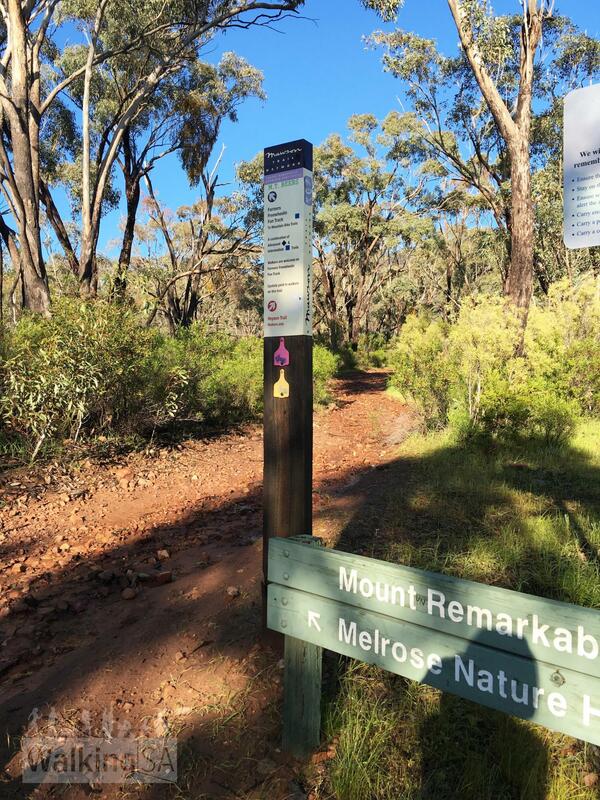 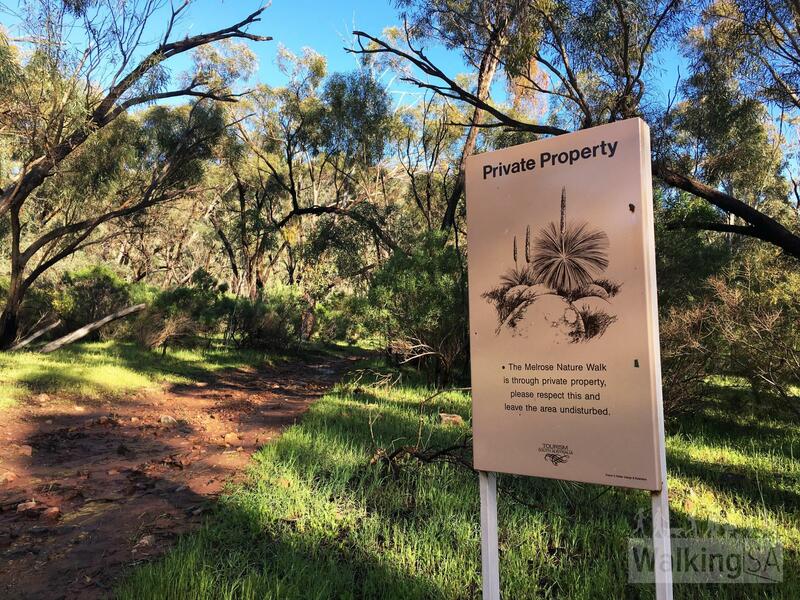 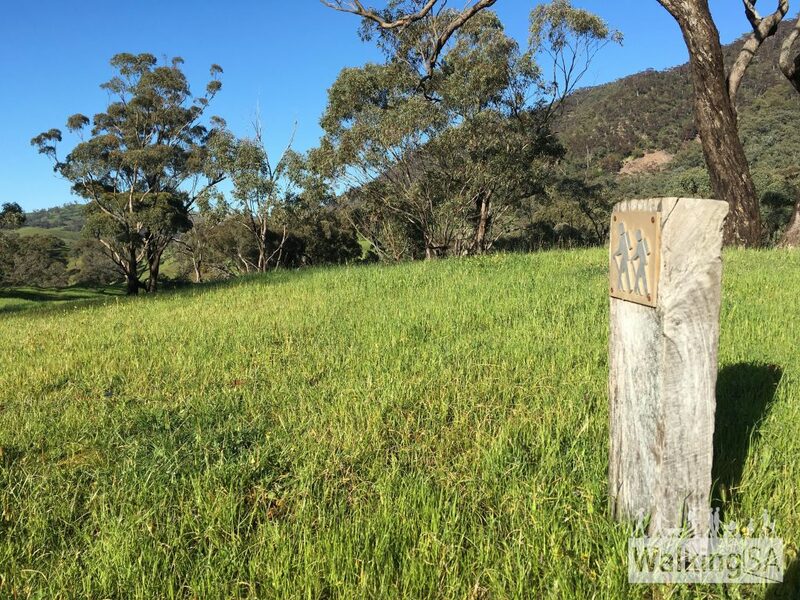 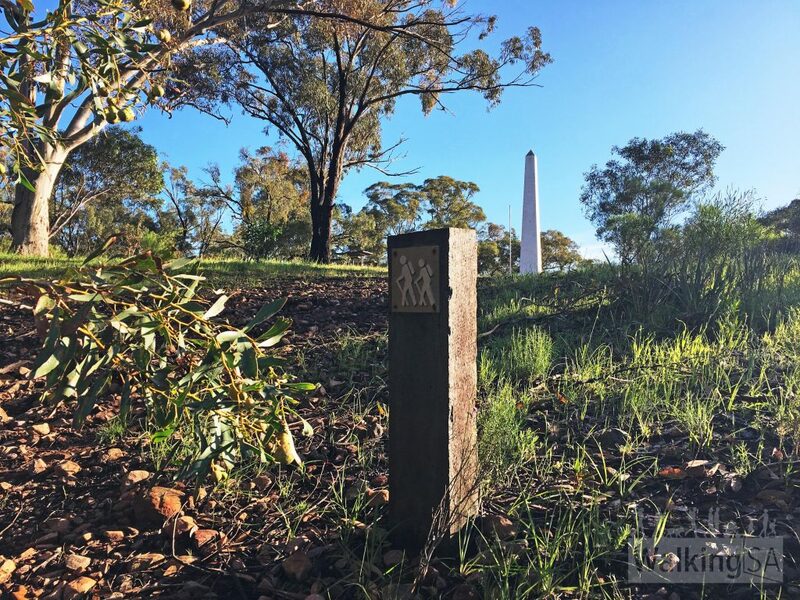 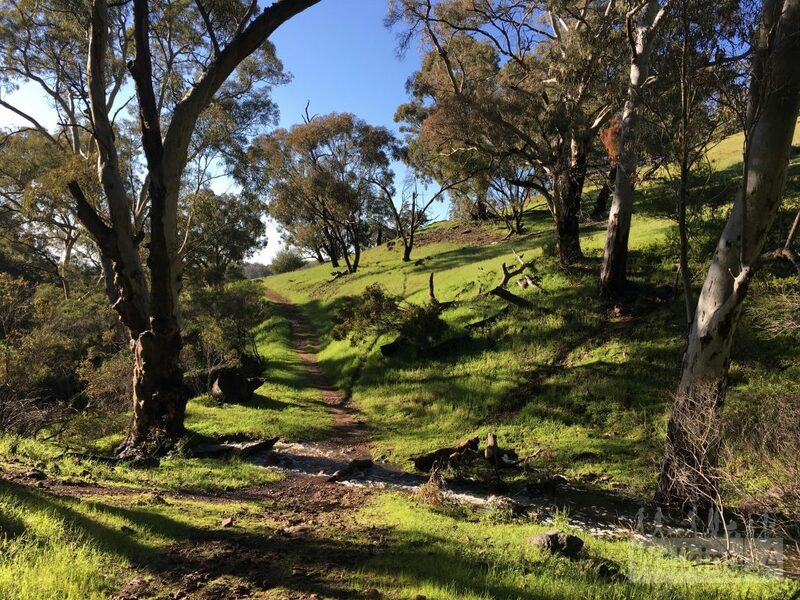 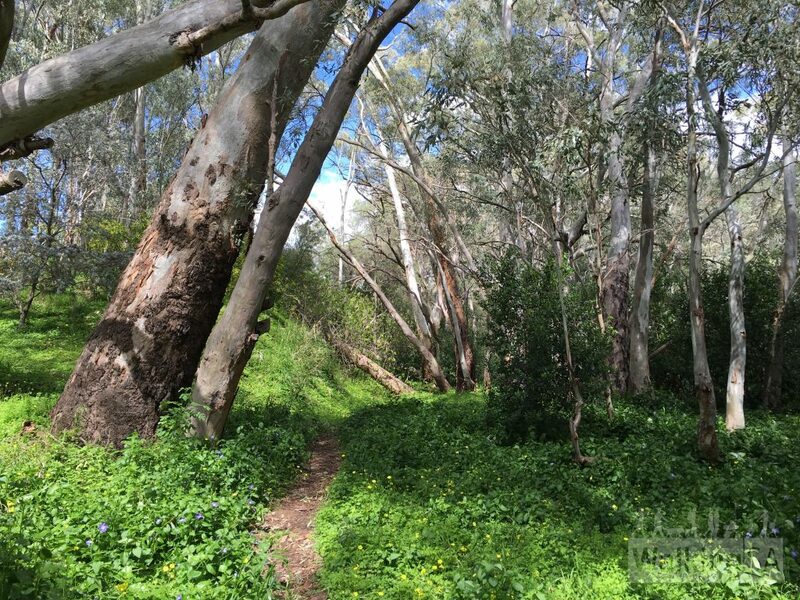 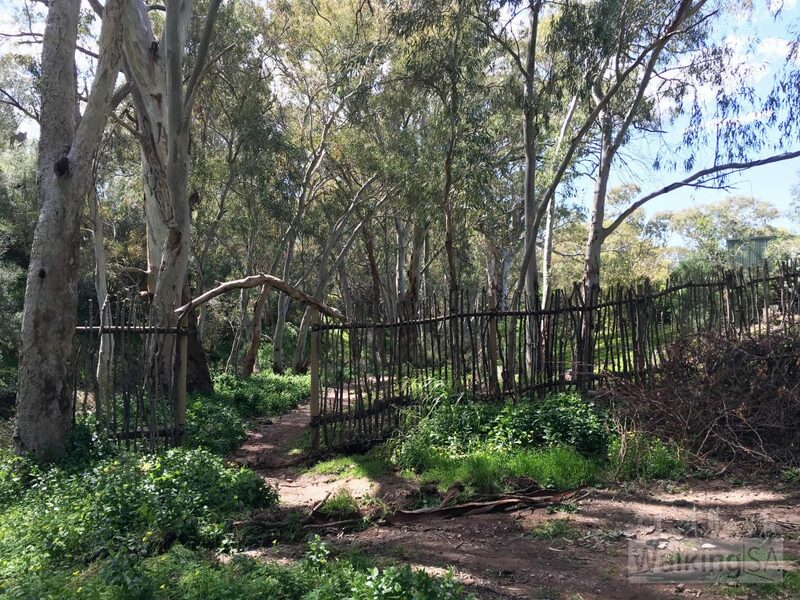 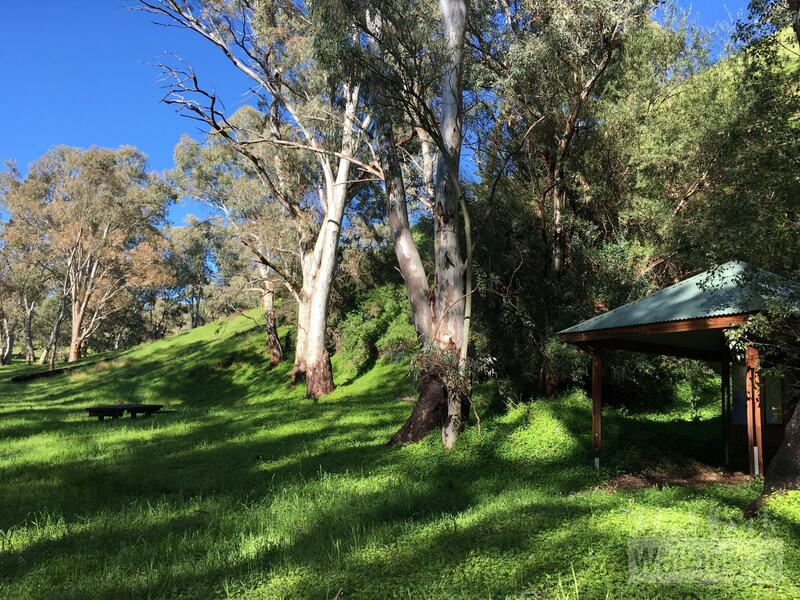 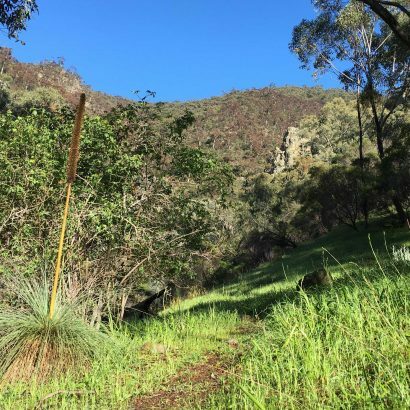 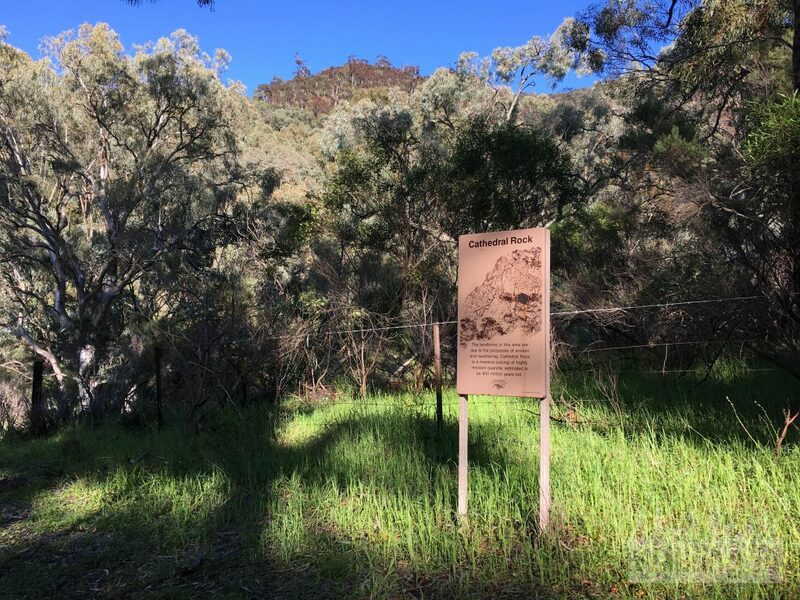 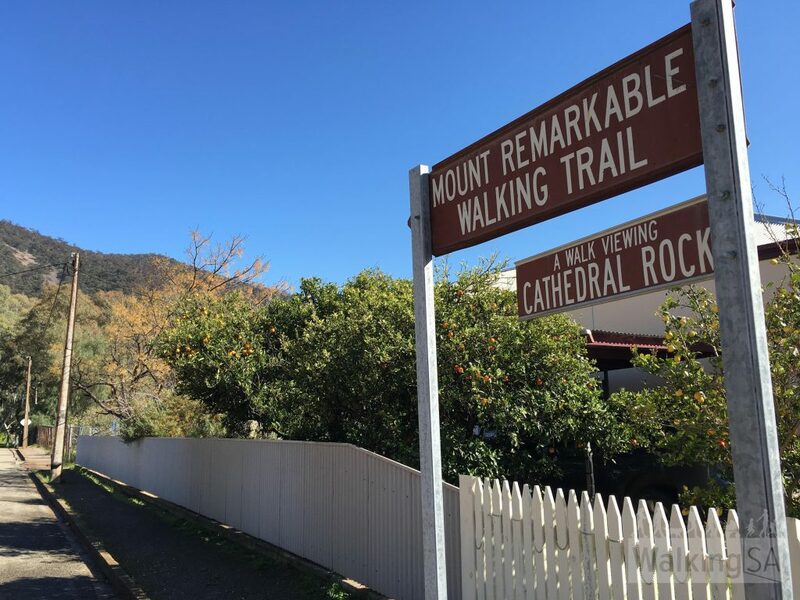 Enjoy a walk through the foothills of Mt Remarkable on the Melrose Nature Hike. The trail visits Cathedral Rock, where there is a picnic area. The trail network is shared with mountain bikers. 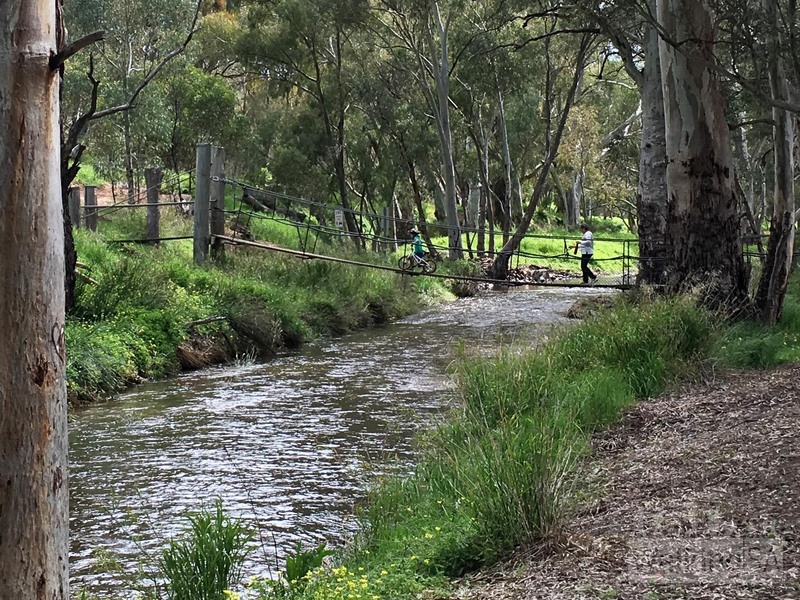 The trail begins from the swingbridge near the caravan park, at the end of Joes Road. 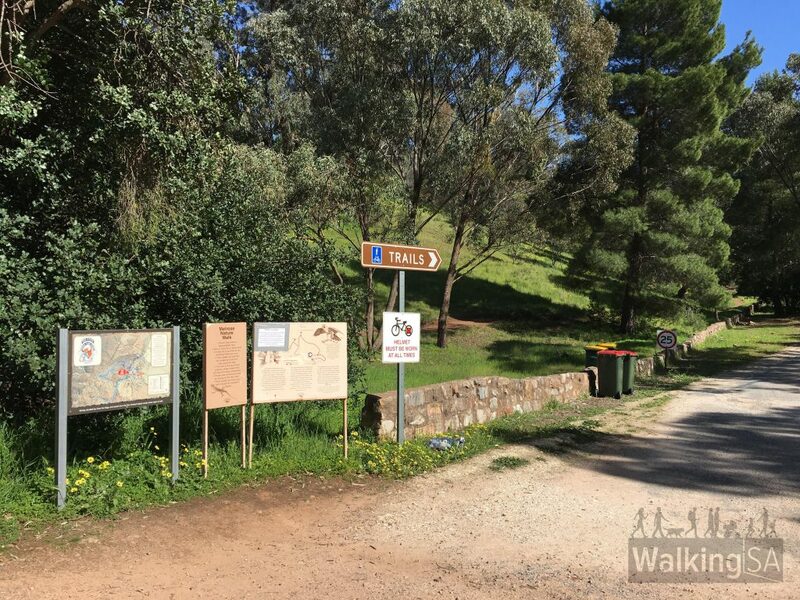 At first the trail seems as if it is not well sign-posted, but actually it is, it’s just that the mountain bike trails are so well sign-posted they seem to dominate. 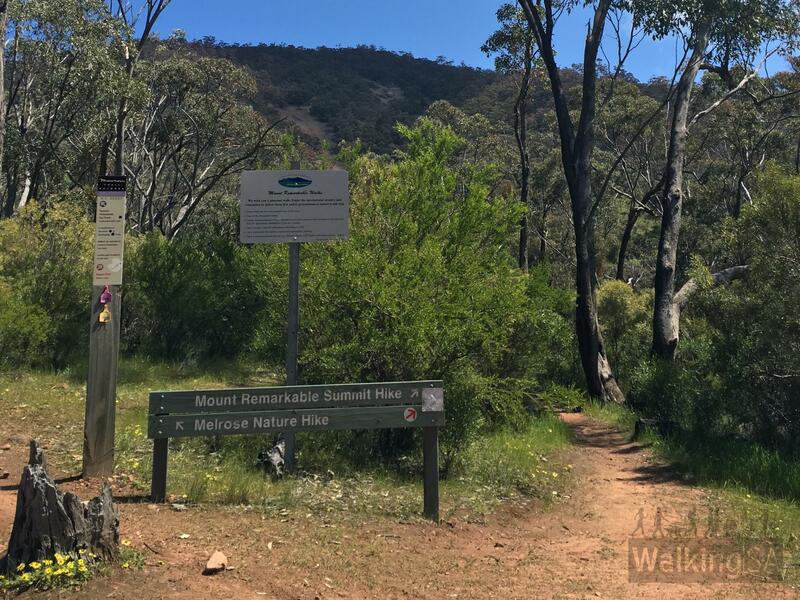 The Melrose Nature Hike is signposted by small metal hiking icons, and with the help of a few old short yellow arrow signs. 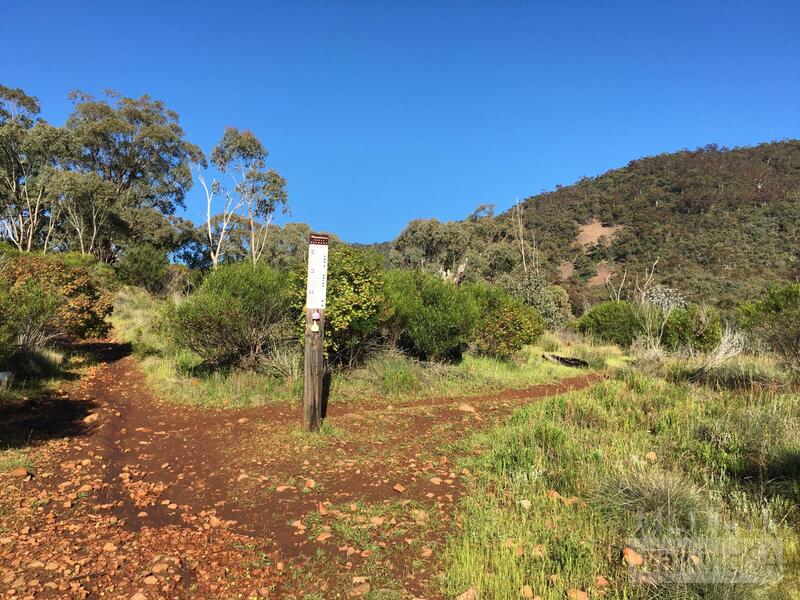 Generally you can follow the mountain bike signs for the Farmers Freewheeling Run Track. 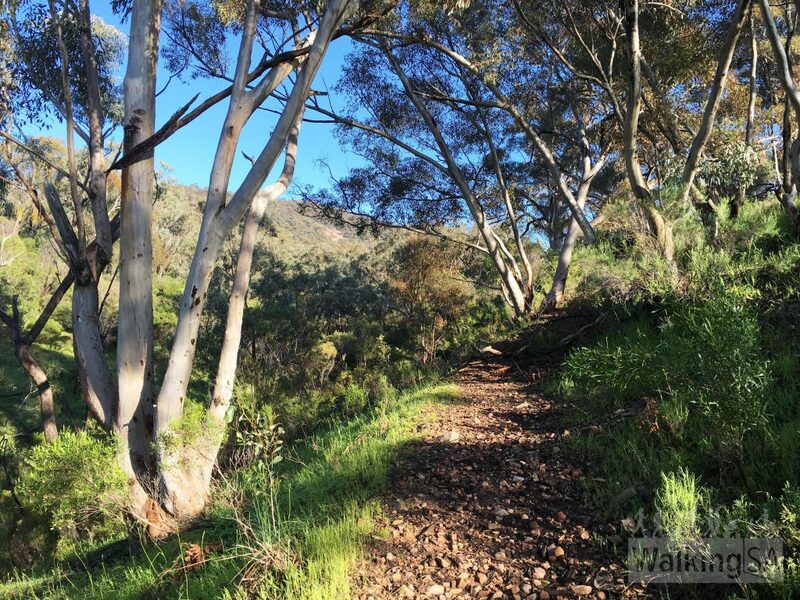 The Melrose Nature Hike isn’t marked on the good mountain bike trail maps. 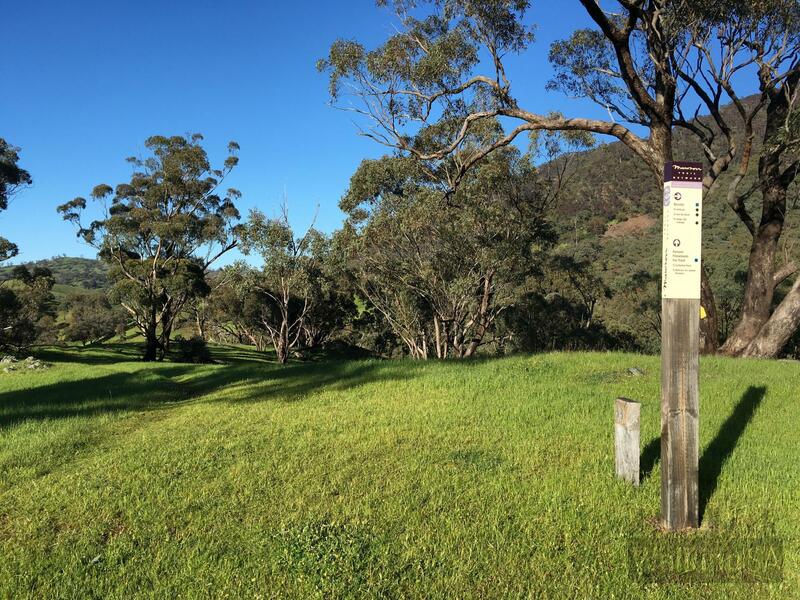 There is an optional sidetrip to Melrose Mine and Bald Hill Lookout. 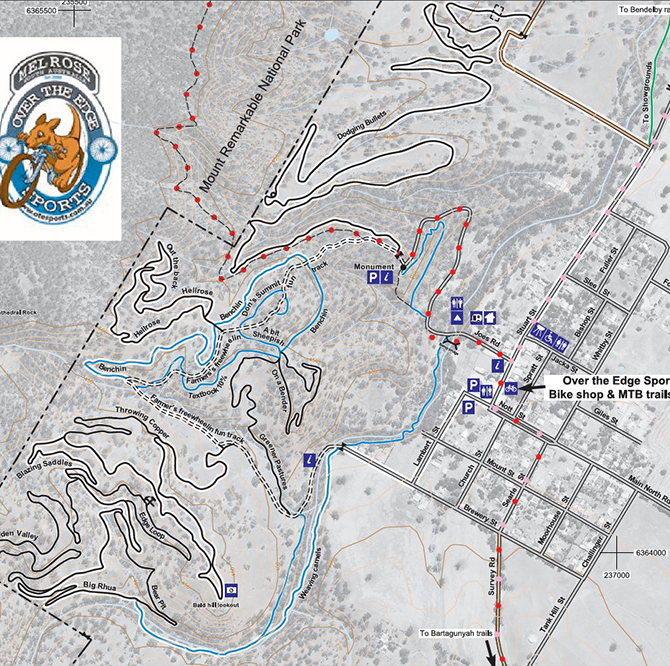 The official maps on the signs at the trailhead have the section between the Brewery Street Trailhead and the swingbridge masked out. 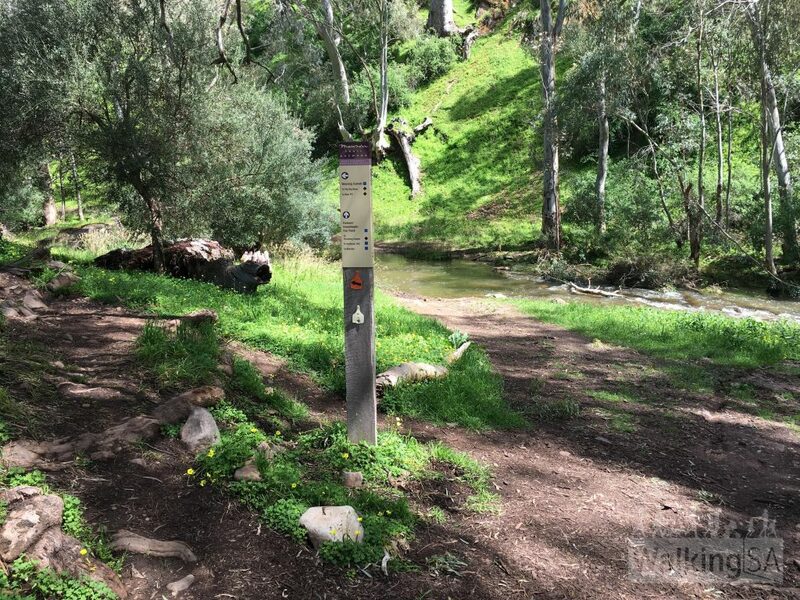 This former trail used to be on the northern side of the river. 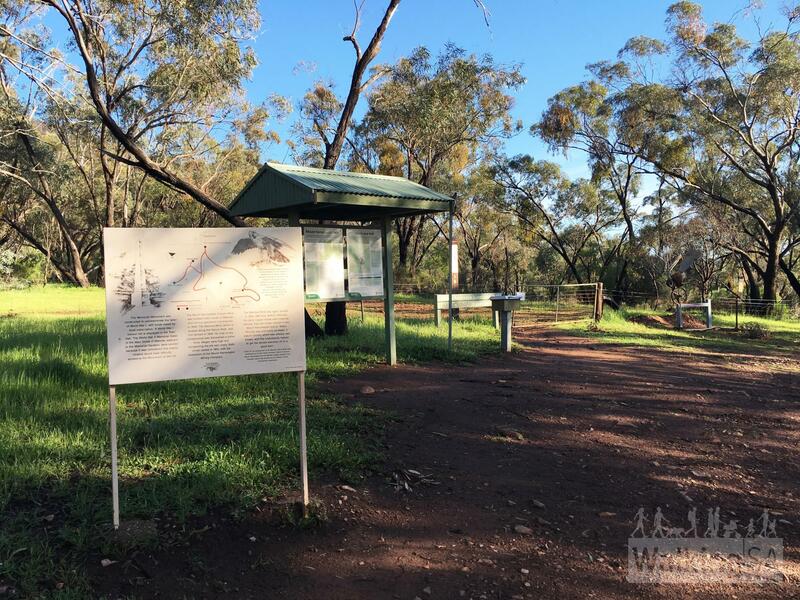 However there is a new walking and cycling trail along the southern side of the river, which passes through the stick-fence gate near Brewery Street. 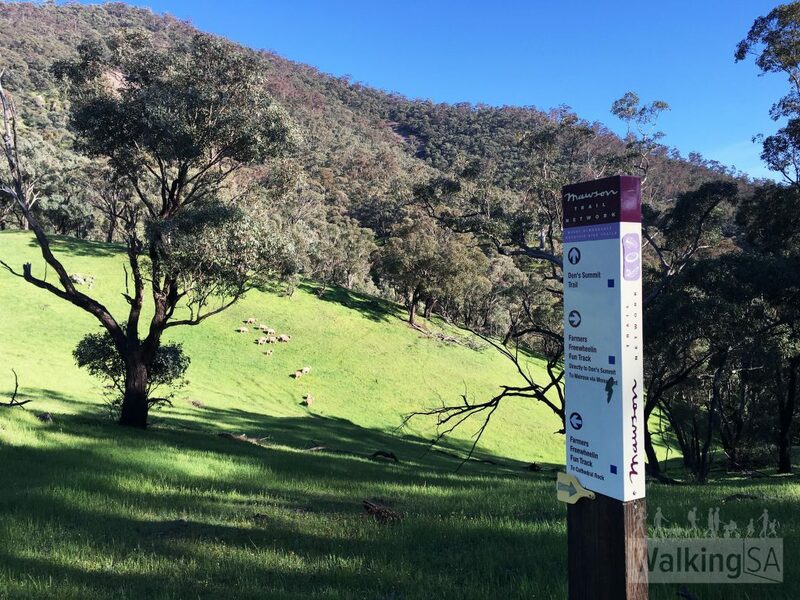 The recommended walk time is 3 hours, but the trail could be completed in 1.5 hours to 3 hours.